Through artistry and laboratory technique, we achieve outstanding and beautiful results restoring teeth with all- Porcelain Veneers and Porcelain Crowns. The cutting edge technology of adhesive bonding dentistry makes these restorations second to none. Many of the before and after cases you see here utilize this type of restoration-note their lifelike vitality. By removing unhealthy or cracked tooth structure and replacing it with natural looking porcelain, which fits the tooth like a thimble or jacket, we protect the remaining tooth structure and achieve a beautiful result. Porcelain Veneers are thin, strong, custom-made porcelain restorations which are bonded to a prepared tooth. The result is a restoration that mimics natural, beautiful tooth structure. 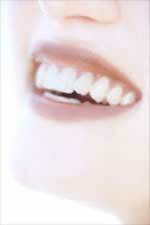 The artistic fabrication of Porcelain Veneers contributes greatly to the final result. Therefore we are careful to work with only highly skilled, artistic ceramists. This process is generally completed in 2 visits about a month apart. Many patients simply have dentistry that has outlived its intended life. East Gosford Dentist are primarily concerned with the health of our patients teeth. Cracked teeth and leaking, worn out fillings compromise the health of ones mouth. By replacing old fillings and cracked tooth structure with Porcelain Inlays or Porcelain Onlays, we are able to achieve a conservative restoration, saving all the healthy tooth structure that remains. A strong piece of porcelain is fabricated and bonded onto the tooth, for a natural looking restoration that strengthens the tooth unlike silver, mercury fillings which actually weaken a tooth and frequently cause teeth to fracture. Bonding is a very conservative means to repair chipped, discolored or misaligned teeth. It is a one-visit procedure that utilizes composite resin material sculpted directly onto the existing tooth. Minimal preparation is needed to achieve the desired result. Although not as long lasting or strong as all-porcelain restorations, this conservative and aesthetic procedure has enhanced the smiles of many of our patients.